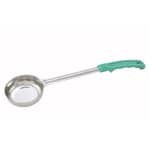 This 4 oz food portioning spoon is a fabulous tool to have in any venue to keep track of serving buffet items such as soups, pastas, salads and so much more! Reduce waste and over-portioning with this handy food portioning spoon from Winco. 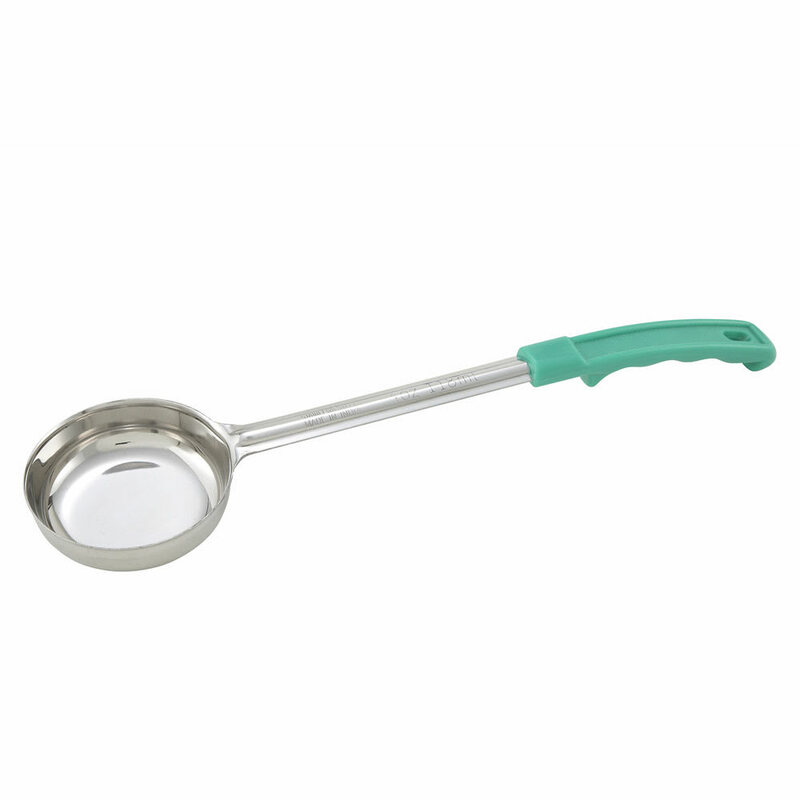 Featuring a 4 ounce capacity, this food portioning spoon had a green handle so that you can easily color code it with other spoons. Know exactly how much of what foods you want served to your patrons and see the difference in your budget every month as you save more and more on food prep costs! Keeping your inventory within the ideal budget starts from the bottom up such as making use of 4 oz food portioning spoons!